An internal SSD drive that manages to boast speed and durability will also cost you big time. This is the exact reason for which consumers are turning to external hard drives for their high-capacity storage needs. A great SSD is vital for anyone who doesn’t want to spend a small fortune on a notebook with built-in storage. 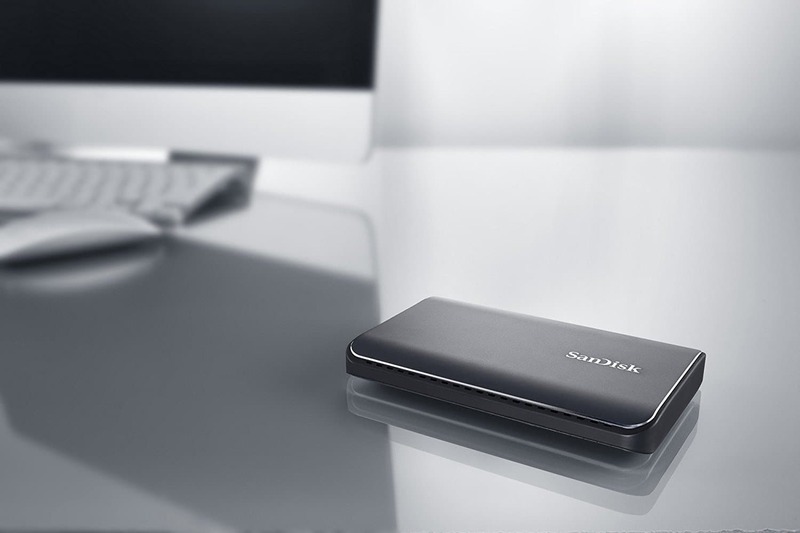 Take a look at some valuable info that you need to consider before purchasing an external SSD. The way to calculate the relative value on such drives is to perform some simple division. SSD pricing fluctuates all the time, and so does the relative value. The basement for budget external SSDs is about 25 cents per Gigabyte. External SSDs use both a USB-C port and the new USB 3.1 Gen 2 tech for the fastest speeds. This varies from drive to drive, and it’s important that it focuses on water and dust protection. Most external drives feature just a few ounces, and they’re notably lightweight. Some have a hollow-shell feel, and the others have a more substantial build. Watch out for extremely light and small SSDs because losing them is easy and a costly mistake to make. Take a look at ten choices of SSDs that we have prepared for you below. This is one of Samsung’s speediest and the most spacious device. It also features a rugged, premium-feeling metal shell and also a future-looking reversible USB type-C connector on the drive end. The Portable SSD T3 is improved regarding build quality compared to the previous-generation T1 drive which was also nice enough. It’s covered in silver metal, and it looks and feels much better than plastic. Samsung ditched the mid-waist bulge of the T3 for a slimmer shell, and it’s easier to pocket due to its smooth and flat sides. It features a USB-type C cable, and at the other end it’s a standard type-A; the cable is about 16 inches long (the cable is removable, and you can replace it with something longer if you want to). It comes with Windows Security Enabler, and it lets you password-protect the drive. It also supports AES 256-bit hardware-based encryption. It features Superfast Read-Write Speeds of up to 450 MB/s. It is small in size but huge in memory. 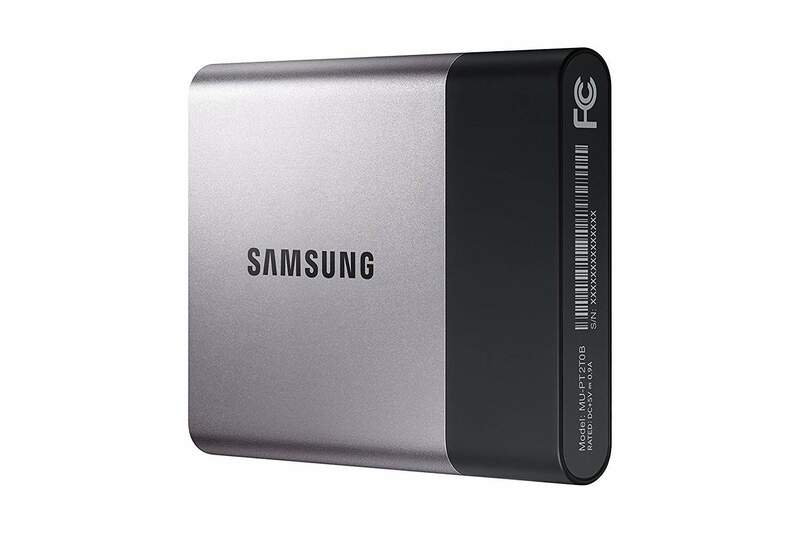 The Samsung Portable SSD T3 uses the Samsung 3D vertical NAND (V-NAND) technology to enhance density, performance, and efficiency while, at the same time, creating a smaller footprint. This revolutionary vertical design allows the device to hold large amounts of data in a compact drive. This is one of the most expensive options on the market. After you take one look at this, you will realize that this is the future of the storage that you will be carrying around with you. It is durable, and it will fit in any pocket. It comes in gold or red. It includes a USB cable that connects to a type-C connector on the drive itself, and it has an ordinary type-A connector on the other end; it’s, therefore, compatible with any USB port. 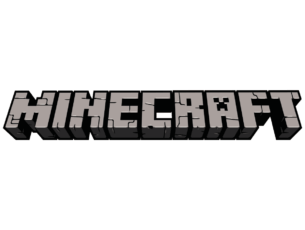 It comes with a three-year warranty, and it is compatible with all popular operating systems. It feels exponentially more rugged than Samsung’s plastic-card, hollow-feeling Portable SSD T1 models, that’s for sure. The only downside if we have to mention one is the fact that its only available capacity of 250GB is a bit limiting for apps such as transferring video and hi-resolution photos. So, the limited capacity is the only user complain about this small super-portable, rugged and affordable device. It’s capable of delivering mind-bending data read-and-write speeds of up to 850MB via its USB-C connection. 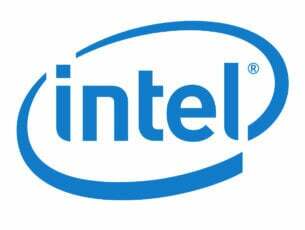 It has 128-bit AES encryption. It features a shock-resistant body. It works up to nine times faster than other external hard drives. It features high-performance portable storage for high-res photos, videos, and graphics-intense files. You can work directly from the drive with a 35x faster access time. The solid-state technology will make sure that there are no moving parts to break or overheat, and SanDisk SecureAccess encryption software will keep your files private. SanDisk products are constructed to the highest standards, and they’re also rigorously tested. You can be confident in the outstanding quality, performance, and reliability of every SanDisk product, according to the manufacturer. According to most users, the SSD exceeds all expectations and it’s perfect for working from an internal hard drive. The drive uses a USB 3.1 type-C port, but it also features a SATA III connector. 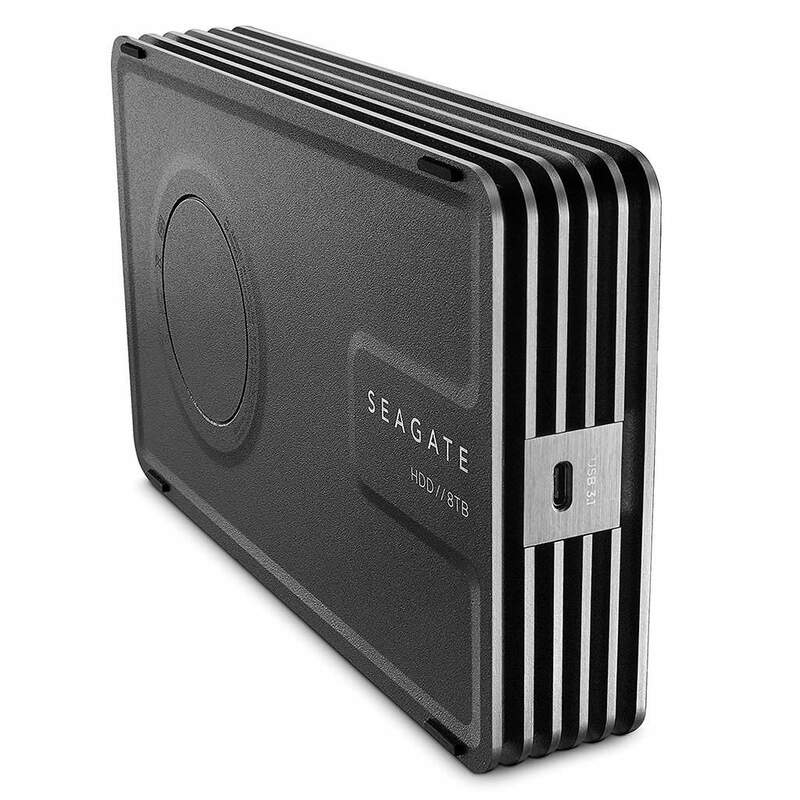 It’s designed for type-C computers, and if you don’t have a USB 3.1 port, you can connect it to your PC using the SATA III port. 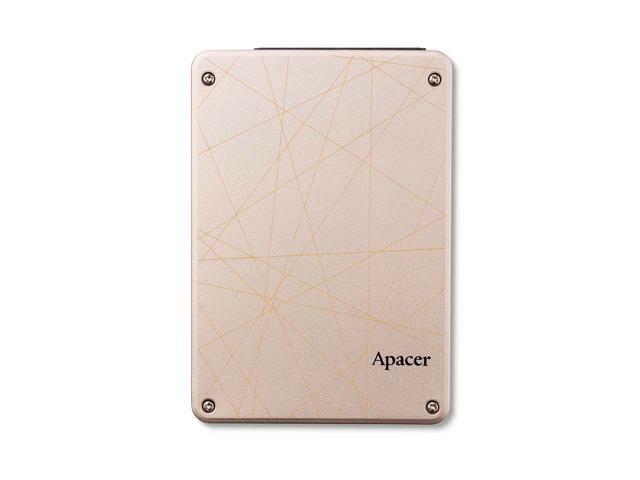 It offers 500MB/s read speed, and 400MB/s write speed using the USB type C interface or the SATA III. It is two times faster than regular external drives. It provides low power consumption. This is quite a unique device, and if you have a USB type C port, it will be ideal for you. The Glyph Blackbox Plus has a great deal to offer. 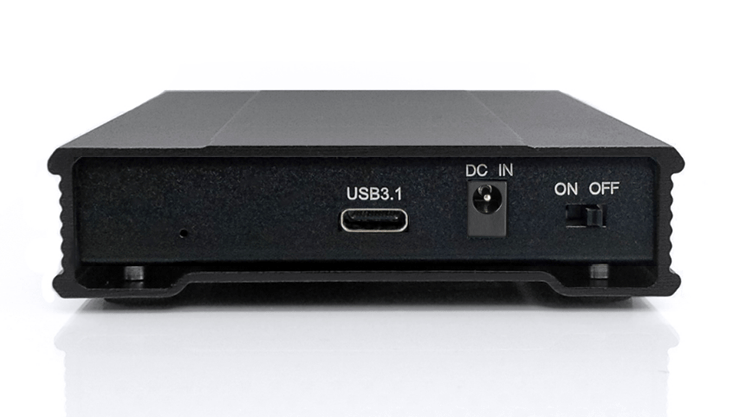 Compared to the G-tech G-Drive Mobile USB-C, the Blackbox is better is almost every aspect. Both drives support USB-C, and this allows them to work with existing and future computers as well. They will also work with Thunderbolt 3 ports. 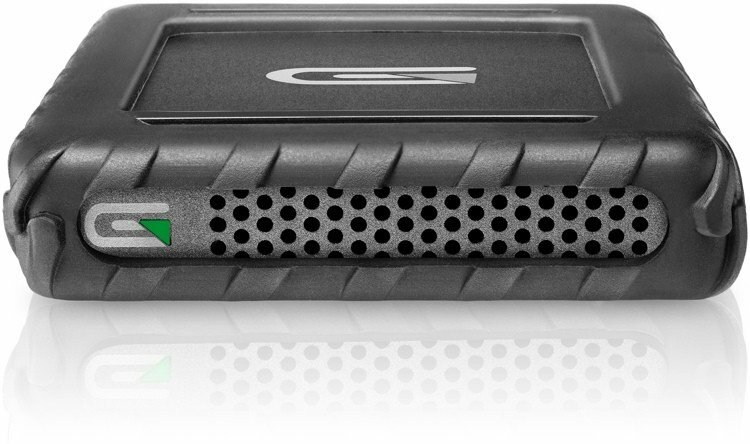 The Glyph Blackbox Plus supports USB 3.1 Gen 2 (10Gbps). Apart from the rugged aluminum casing, the Blackbox Plus features a removable protective rubber case to save it from accidental drops. The Blackbox Plus includes an interesting 3-2-1 warranty policy. You will get three years of regular warranty against hardware failure, two years of free level-1 data recovery (this means that no advanced recovery method is required) and one year of advance replacement where if the drive is not working properly, Glyph will send a replacement on the spot. In case you are looking for a fast, compact, and rugged drive that will also work with future PCs this is the ideal choice for you. The device’s body looks like a block of silver-colored aluminum with parallel sets of raised cooling fins on the top and bottom. It will easily fit into your pocket or your commute bag. The outer edges of this drive feature a replaceable rubber jacket that comes in five colors including black, gray, blue, orange and green. This will help the drive survive drops up to 4 feet. The Tuff is MIL-STD-810G tested and rated IP57, and this means that it will survive being dropped in a dusty and rough environment. The drive body is rated for water immersion of 9.8 feet (3 meters) for half an hour. The drive is perfect if you want to access your data outdoors. It sports a single USB type C port that is located under the flap on the jacket. It comes with two cables: one is for connecting to another USB-C port and another for connecting to a type-A USB port. The Tuff also includes a translucent storage box for the drive and both cables. The drive is now available in one capacity 2TB. It will copy a 1.2GB test folder, for instance, in 12 seconds and this is average for hard drives. This drive comes with a slim, all-aluminum body and it’s quite an attractive device, but it is also capable of super-fast transfer speeds. The right side of the drive houses a pinprick-size disk activity light and the USB-C port. The drive feels quite smooth and pleasant to the touch, even if its edges are a bit sharp. 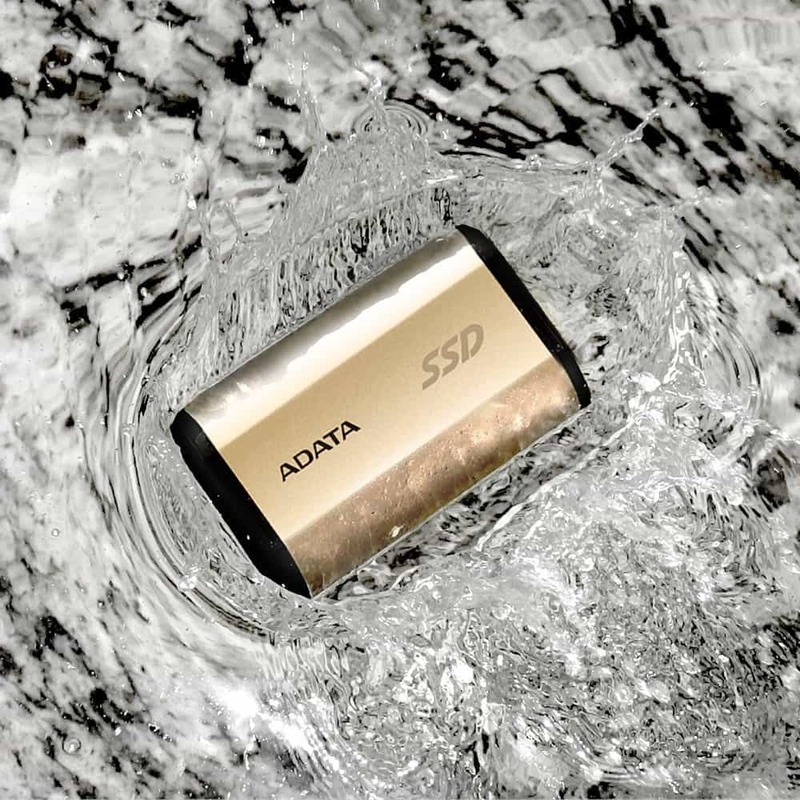 The 2TB Mobile Drive comes in gold or silver. This mobile drive is quite slim and lightweight; therefore you can throw this into your pocket. It comes formatted for NTFS and is compatible with PCs running Windows 7, Windows 8, or Windows 10. It comes with a USB-C cable, as well as a USB-C–to–USB-3.0 cable; so you don’t have to worry if you don’t have a USB-C port on your computer. Regarding the warranty, it is covered for two years. 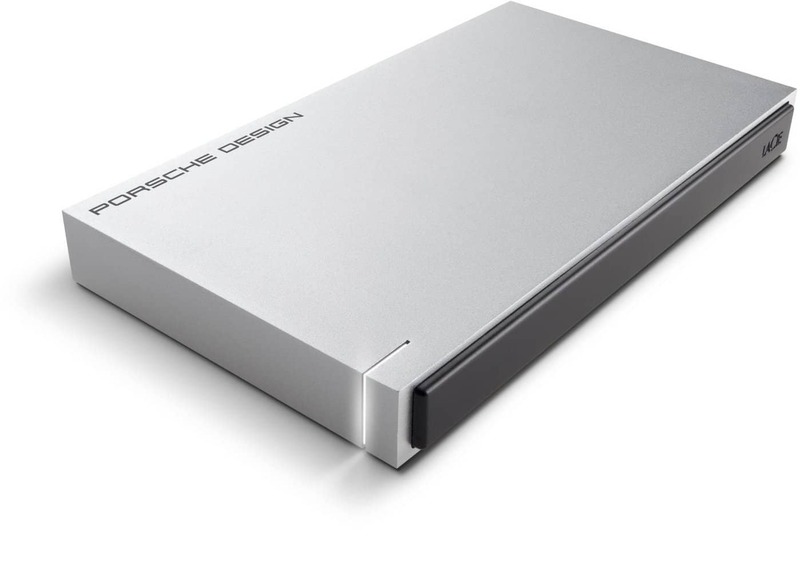 The external drive is super slim, and it can also transfer files extremely quickly. Its body is metal and it has a set of silver-colored horizontal rib-like stripes around the exterior. Its top and bottom plates are textured in charcoal gray, and it has a raised disk molded into both surfaces. The drive is not quite pocket size, but it doesn’t need an external power adapter. 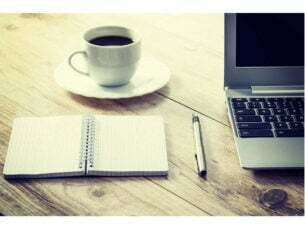 The drive is a bit expensive, but you should also consider the fact that there are just a few external drives with such huge capacity on the market right now. In case you want a ton of storage with a large value in a fast drive, this will definitely be worth considering. The SSD doesn’t feature any moving parts, so it will turn out to be remarkably silent. The drive sports a compact aluminum body that will provide high protection, but it will also cool your device. 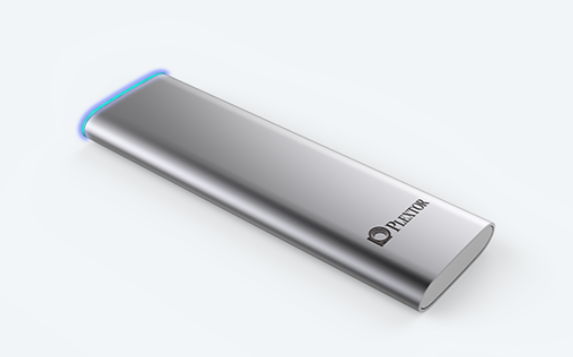 The external drive is compatible with USB 3.1 and Thunderbolt 3, and it offers 450MB/s speeds. It is powered via a USB type C port, and you can also use an external adapter (this one will not be included in the box when you but the SSD). As the drive comes with USB C-C cable, you will be able to connect it to any device that is compatible. The external drive provides solid performance. It comes in silver and black. 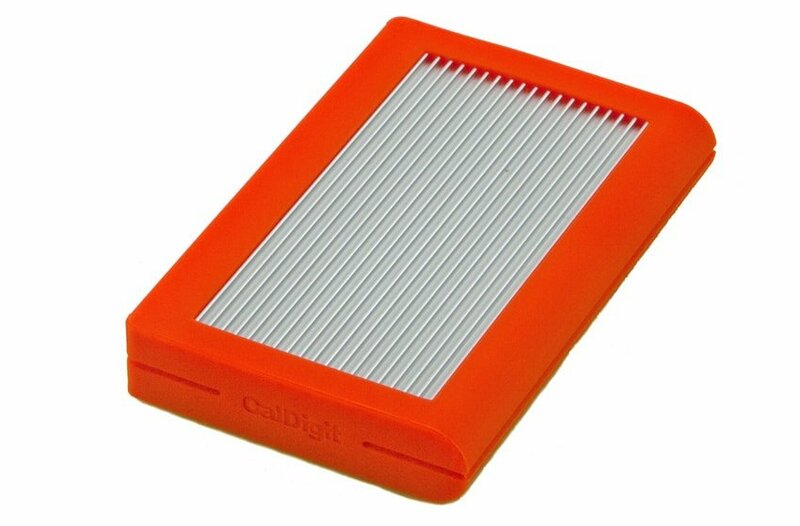 It is compatible with USB 3.1 Gen 2 standards, and it will provide up to 500MB read and write speeds. It has MTBF (mean time between failures) of 1.5 million hours, and this is quite amazing. The drive uses LDPC technology, and this will guarantee the accuracy and readability of your files. This drive is heat-resistant and with its ultra-compact design and 7mm thickness you can easily carry it with you at all times. It provides decent durability, and it also supports hardware based 256-bit AES full-drive encryption that will protect your files from unauthorized access. There are both 256GB and 512GB models available, and you can get the model from GoPlextor. This is where we end our list, and we guarantee that if you’re looking for an external SSD featuring a USB type C port, all the SSDs presented above will turn out to be perfect for you.